What is a Kansas Last Will and Testament? 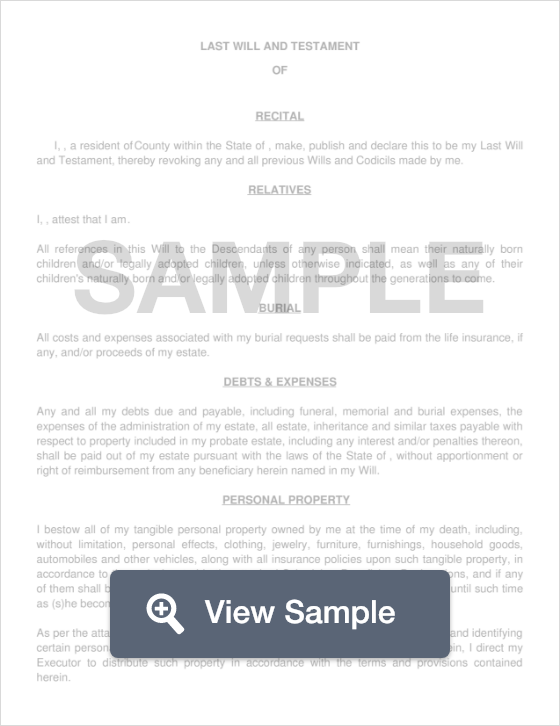 Kansas Last Will and Testament: What Is It? A Last Will and Testament is a document that a person, known as a Testator, will create to ensure that their assets and belongings are properly passed down to whomever they wish to receive them once they pass away. This legal document prevents unwanted individuals from coming in and taking property or assets that were not intended for them. For example, John Smith may create a Will that leaves his entire estate to his minor children. If John knows that he has siblings that may want to take his belongings once he passes away, his Will protects his children from being left penniless once he is gone. In the state of Kansas, two witnesses are required to make this document legal. In addition, your Last Will should be notarized by a Notary Public and sent to your attorney and beneficiaries. Every state has its own set of laws and regulations that govern Last Will documents, here are the laws for the state of Kansas. Witnesses - According to Section 59-606, the Will must be signed by two (2 competent witnesses. Remember to have your witnesses sign your document as well as have it notarized by a Notary Public. Remember in Kansas, your witnesses must witness you signing your Will.